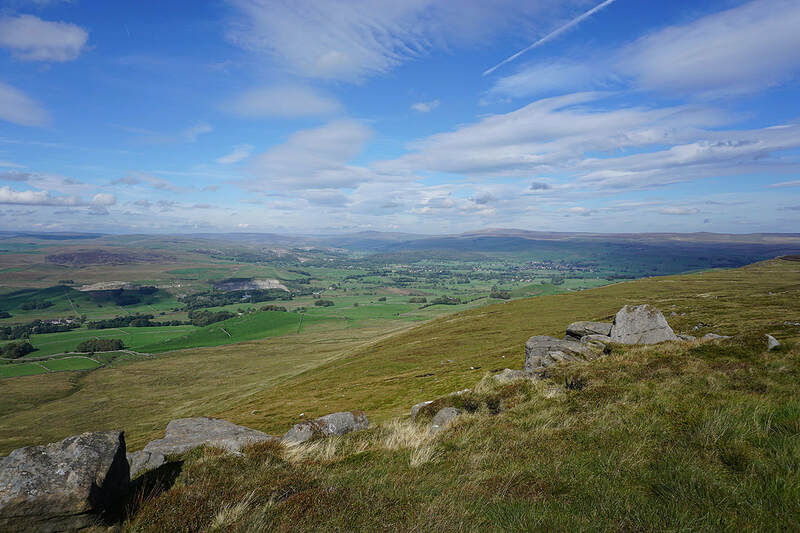 I've got the week off work and with a fine day forecast I decided to head out for a walk in the Yorkshire Dales. 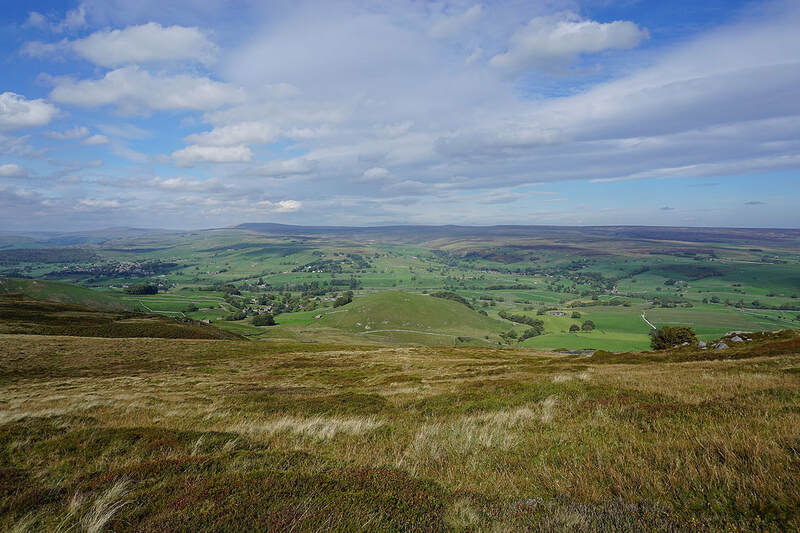 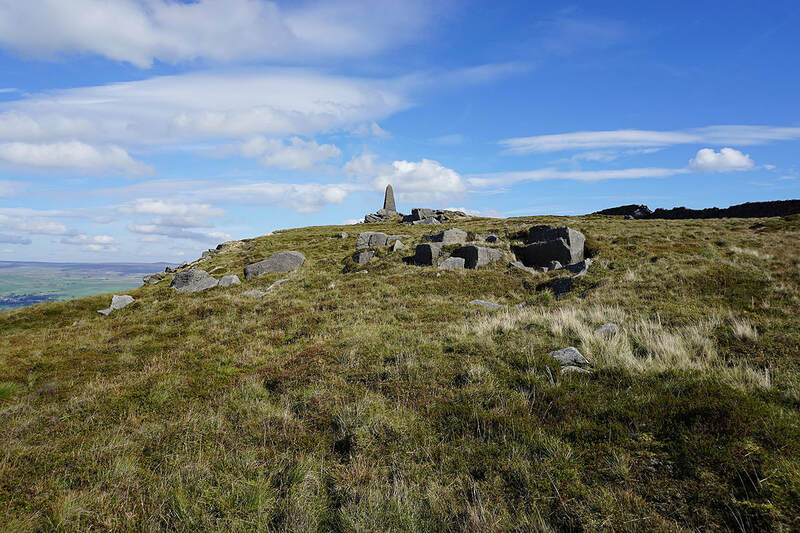 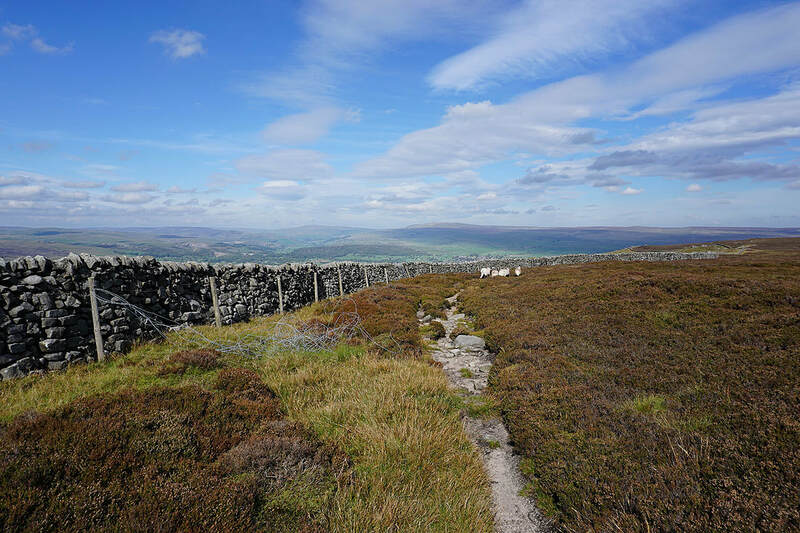 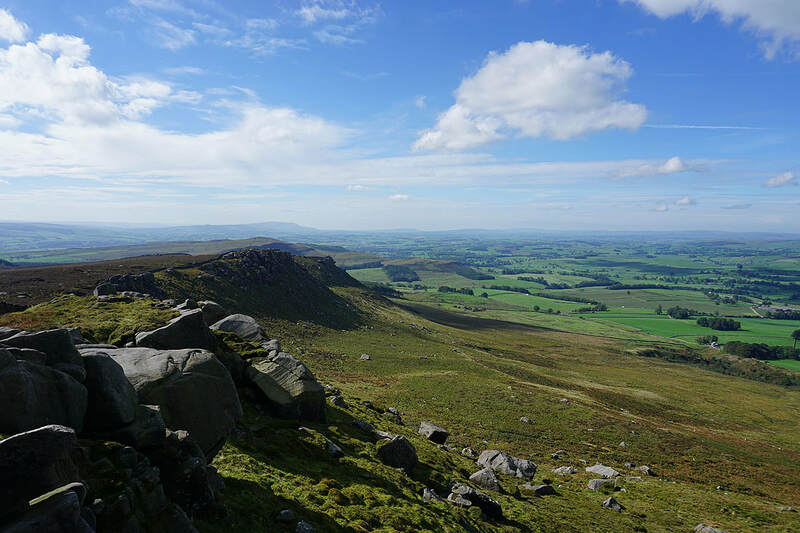 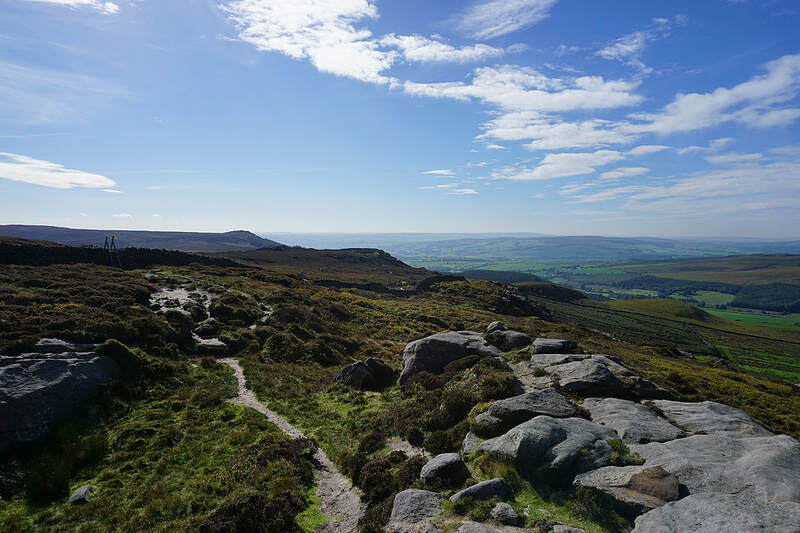 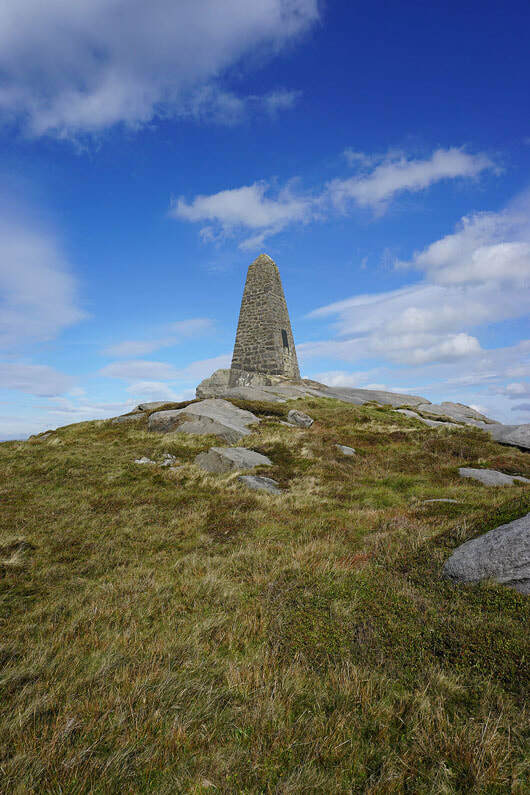 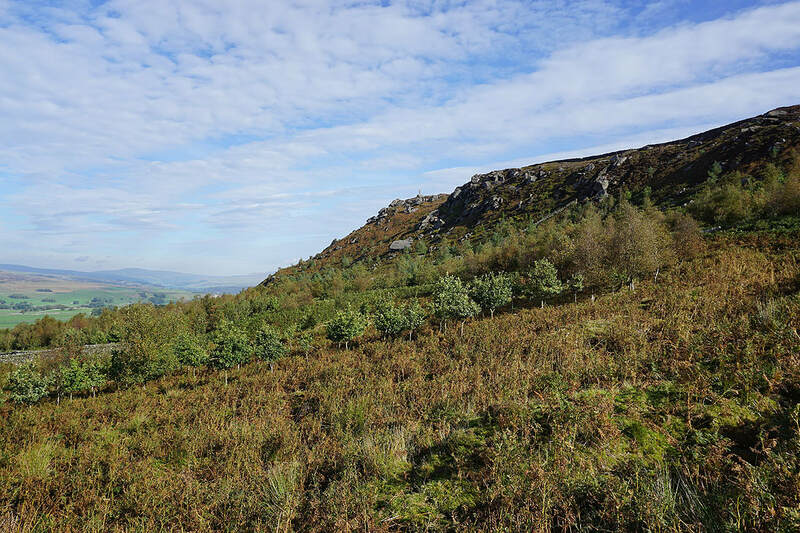 I decided to do a route from Rylstone (on the road from Skipton to Grassington), that would take in the crags of Cracoe Fell, which is the northwestern corner of Barden Moor. 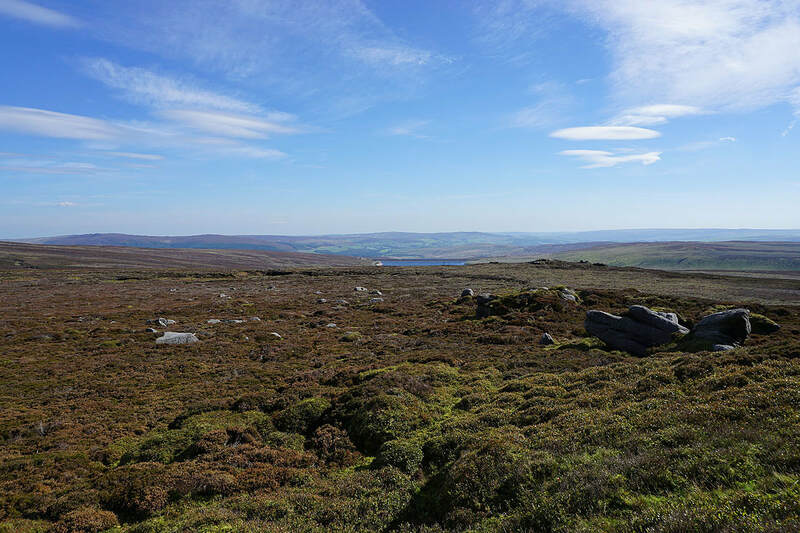 It was a beautiful early autumn day with lots of sunshine and mild, despite it being windy up on the moor. 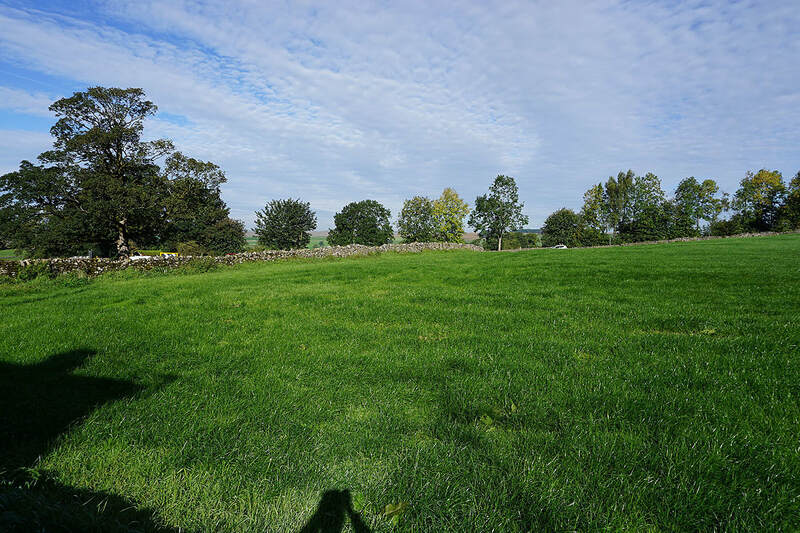 It felt so warm by the time I was in Cracoe that I stopped at the farm shop and cafe to have an ice-cream (I was going to stop there anyway but hadn't thought of having an ice-cream). 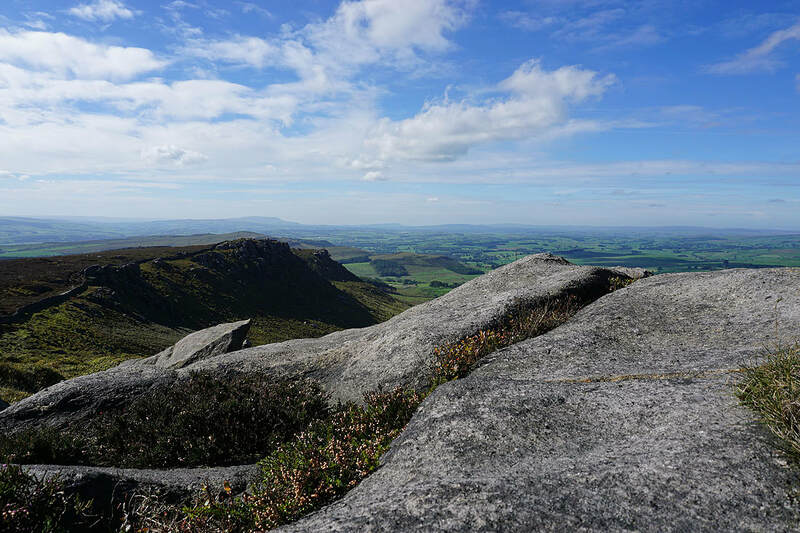 Fantastic views were enjoyed from the crags, especially with the colours of autumn starting to show themselves. 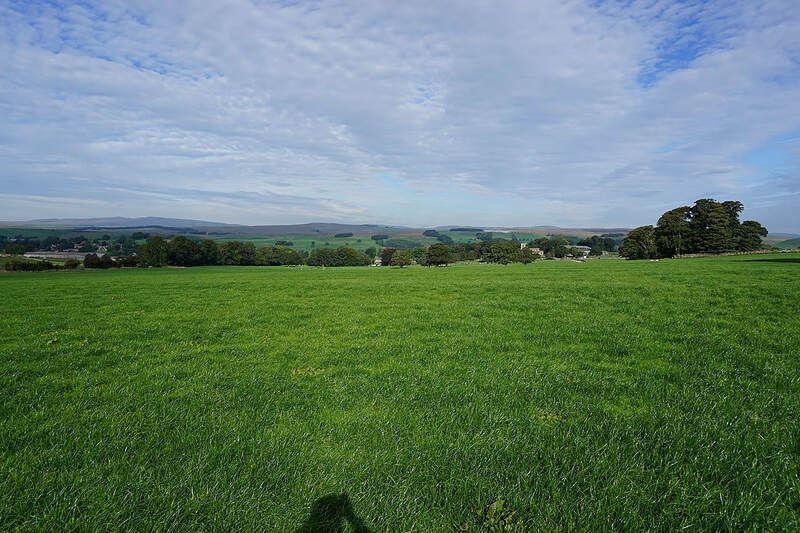 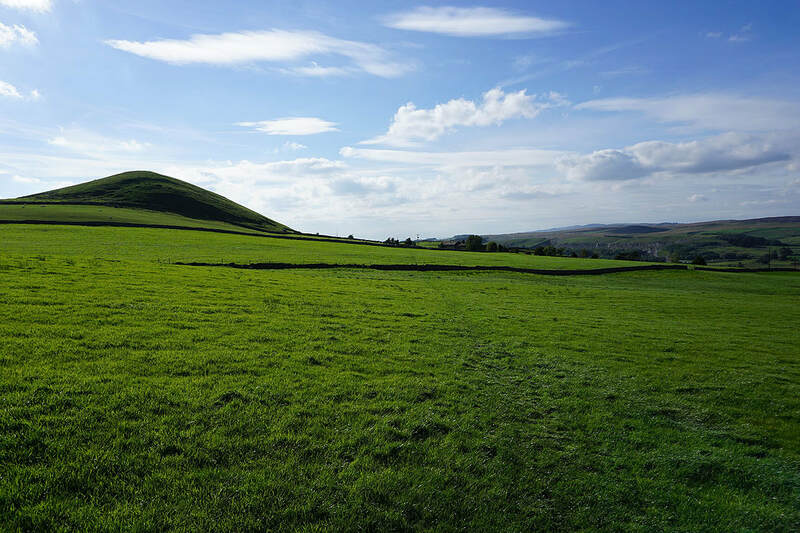 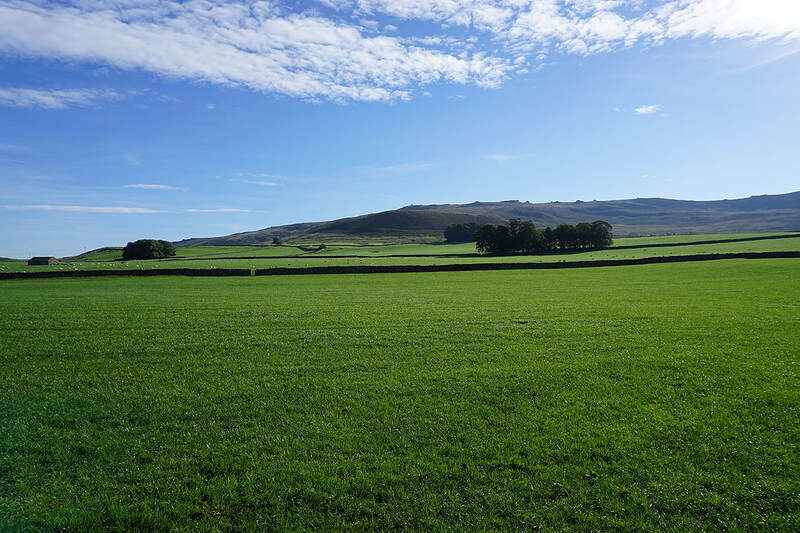 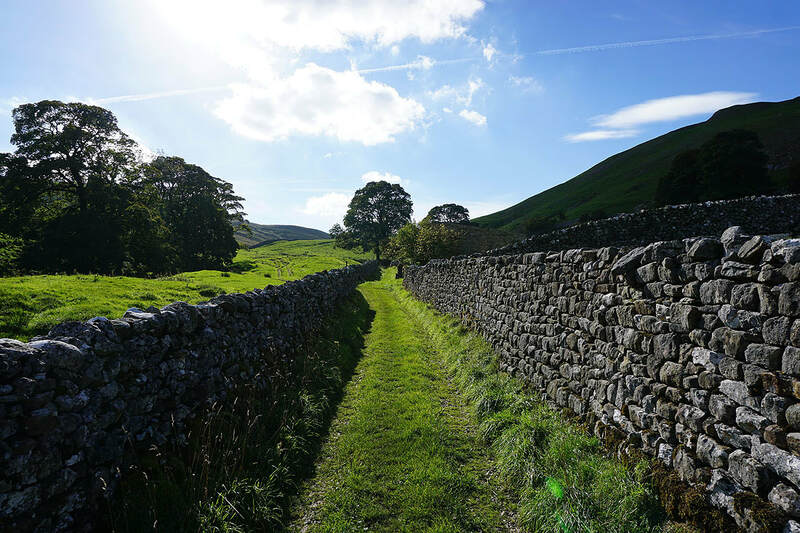 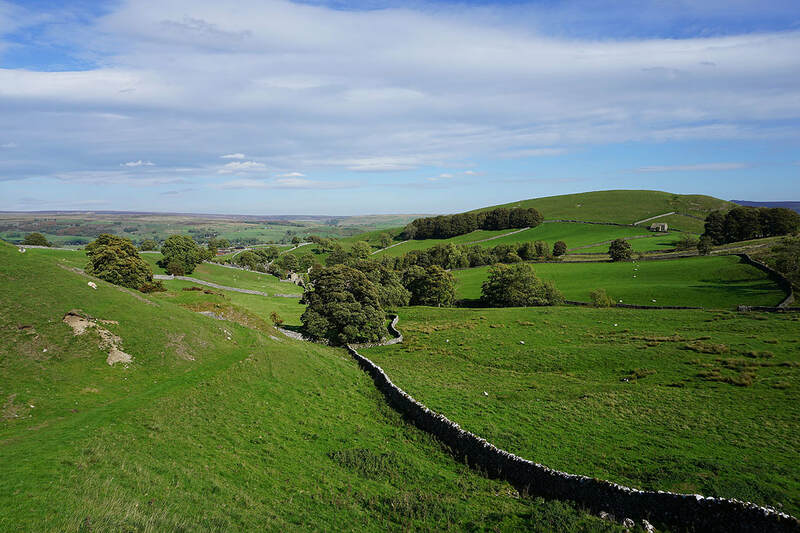 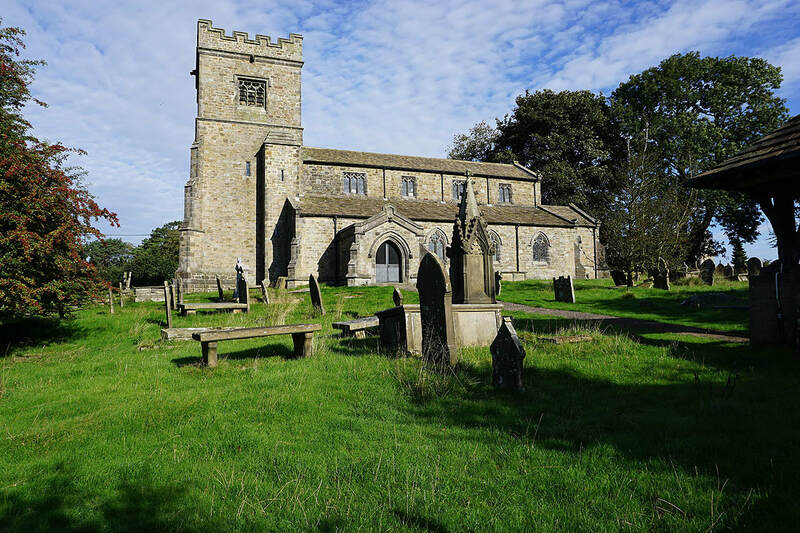 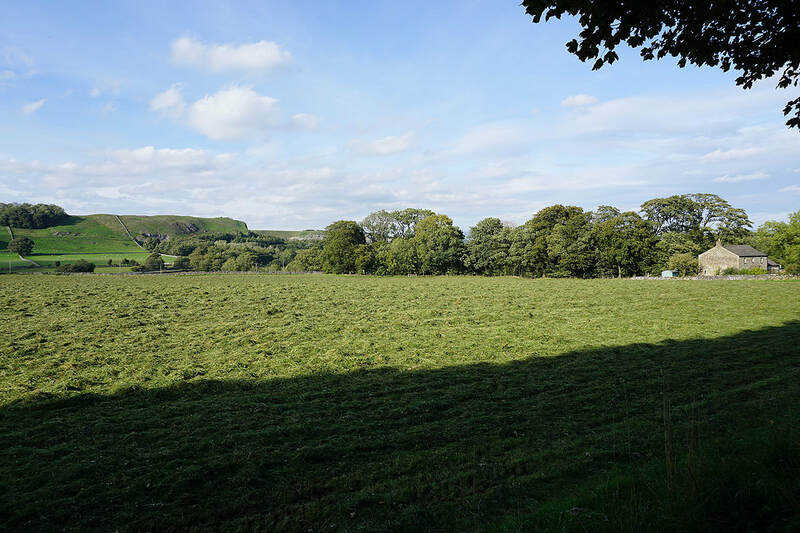 ​From the layby on the Grassington Road in Rylstone I crossed the road and took the lane past Manor House and then the bridleway to St. Peter's Church. 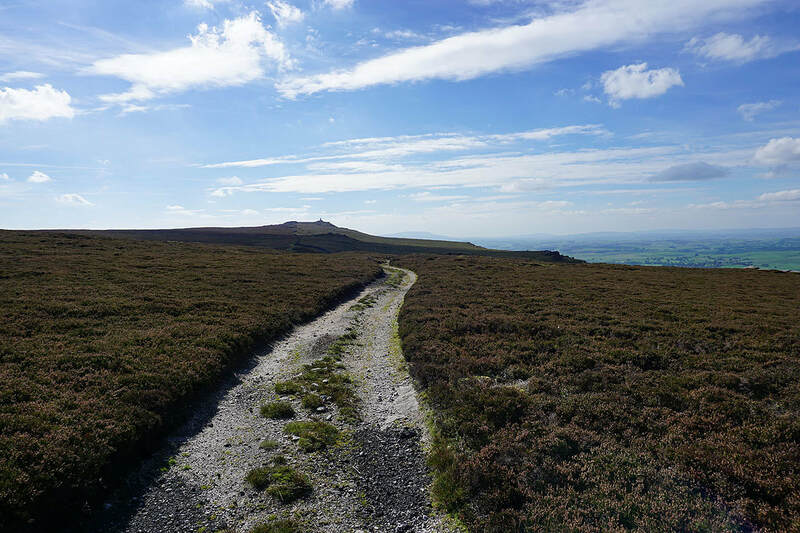 I then took the bridleway south to then pick up another bridleway that heads up onto and across Barden Moor. 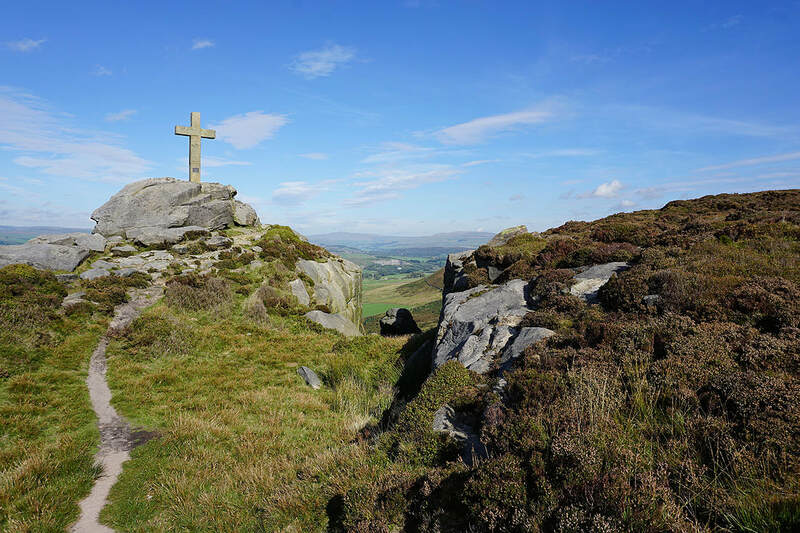 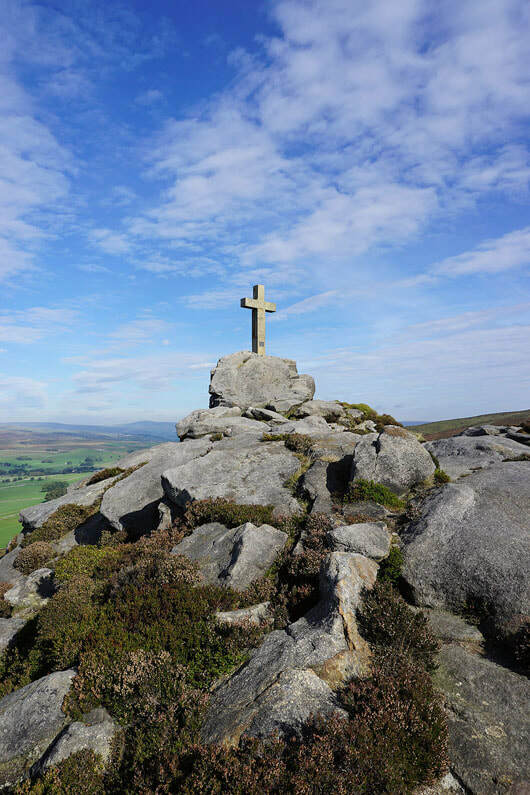 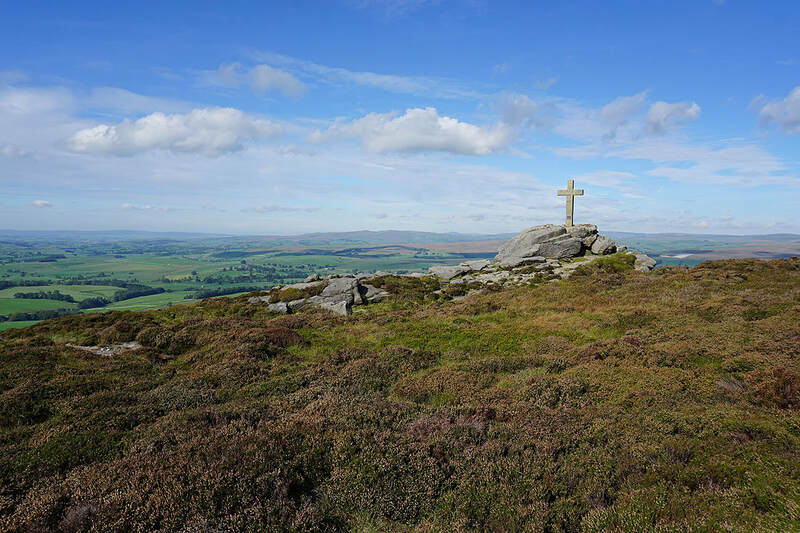 When the bridleway reached the wall at High Bark that heads north up across the moor I left it behind to follow a path by the wall to reach a ladder stile that gives access to Rylstone Cross. 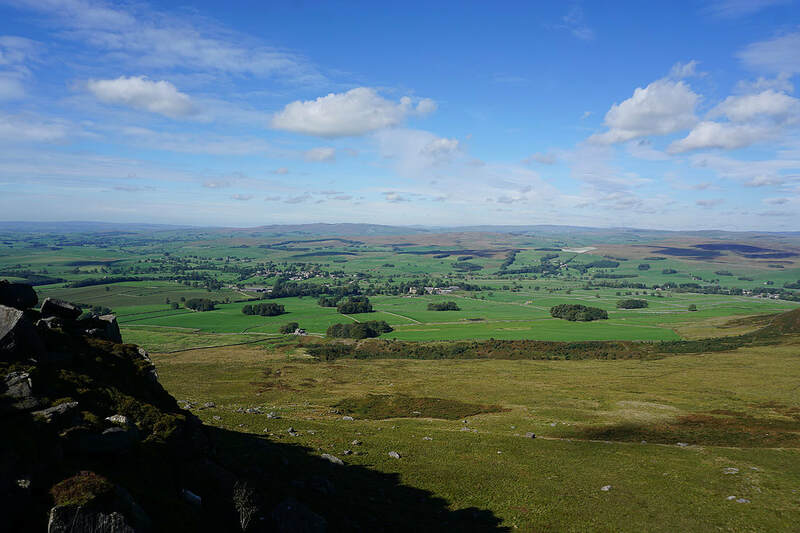 After taking in the views I kept on the western side of the wall and followed the crags north to the war memorial on Watt Crag. 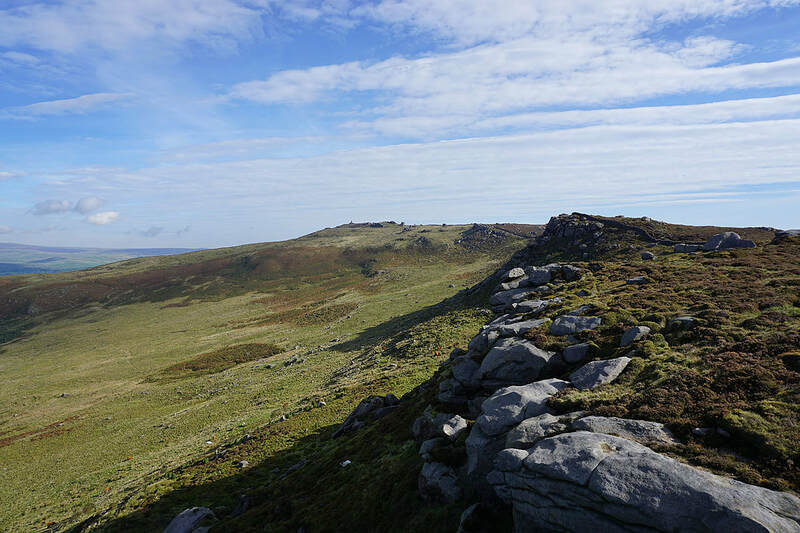 A sheltered spot out of the wind was found here for having lunch. 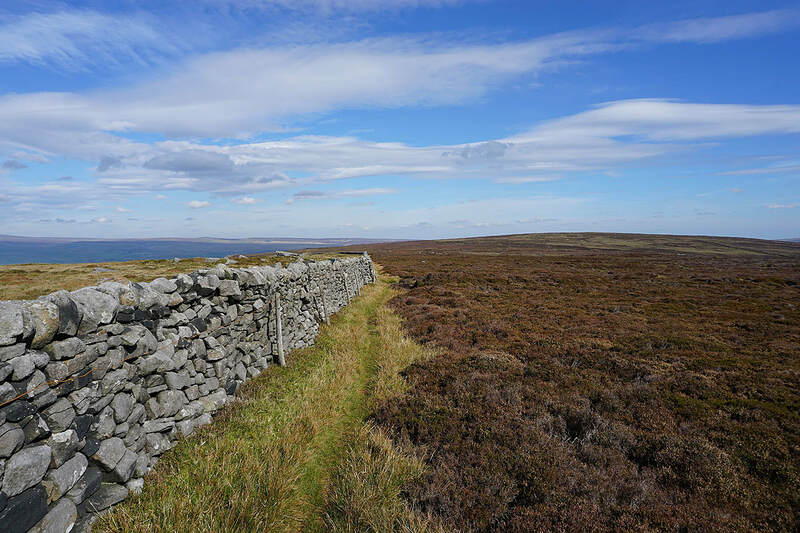 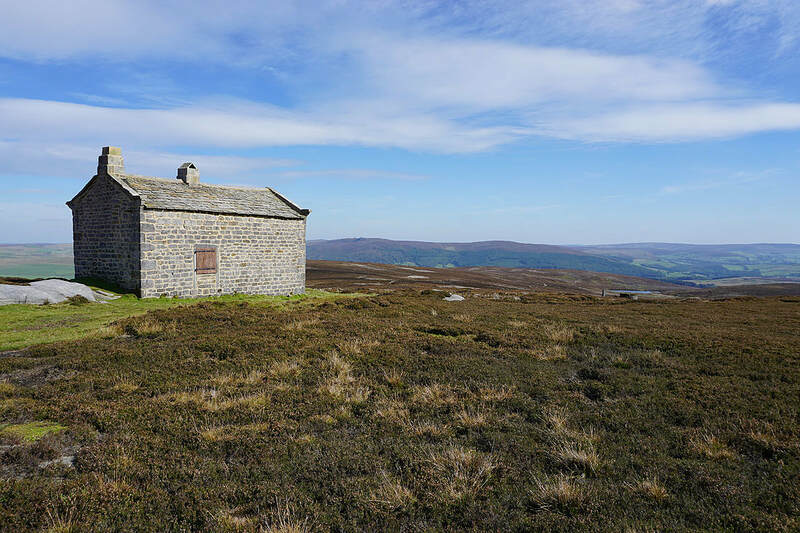 I then crossed back over the wall and continued to follow a path then track to the northeast then east along the edge of the moor to reach a shooting lodge. 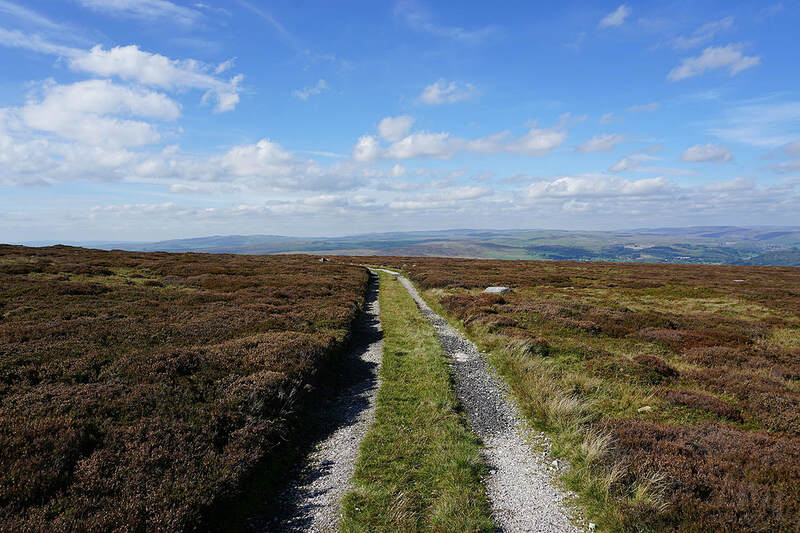 This was my cue for the path down to Thorpe. 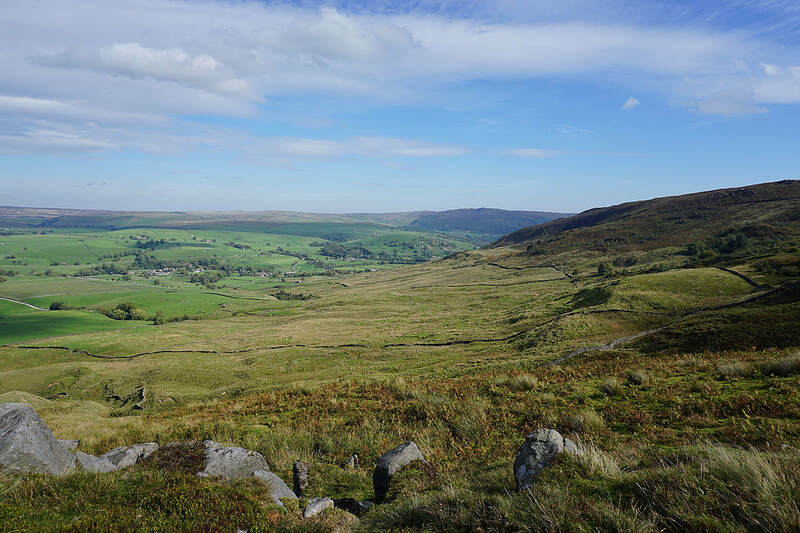 It's clear enough as it heads north down the moor to an enclosed track that reaches the southern edge of Thorpe. 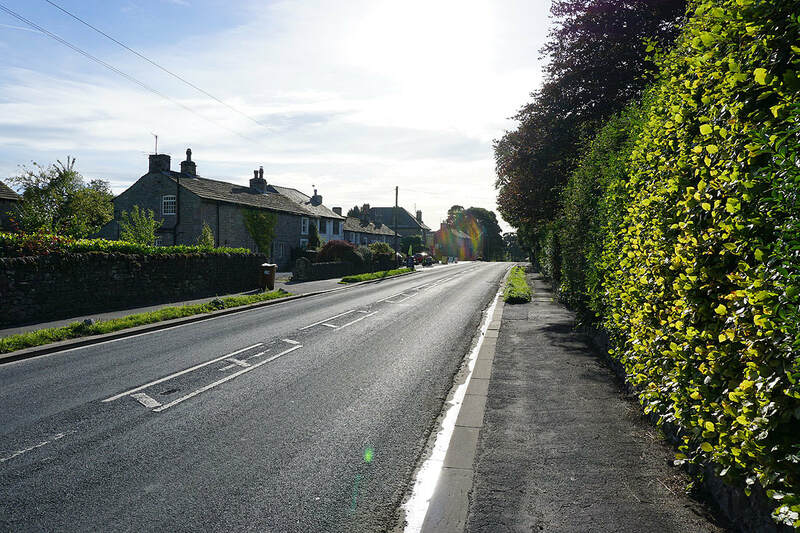 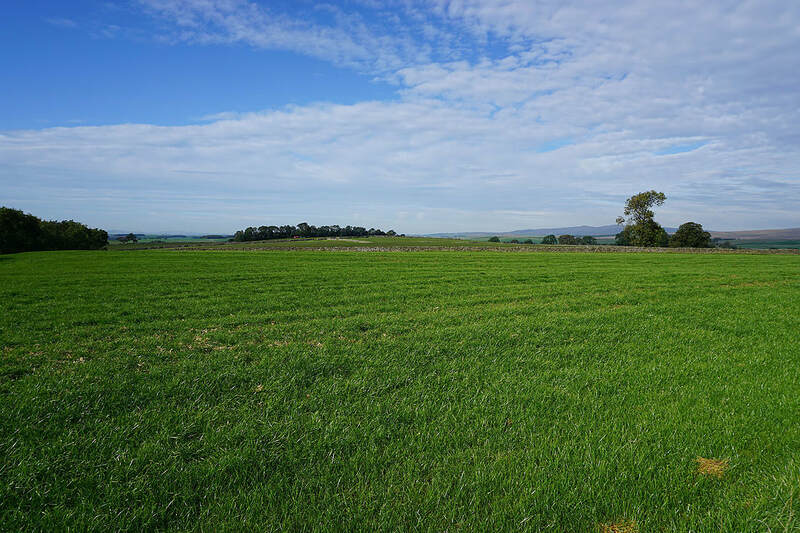 As soon as the track reached the tarmacked road I turned left and took the footpath that heads west beneath Elbolton Hill and across fields to Far Langerton on Thorpe Lane. 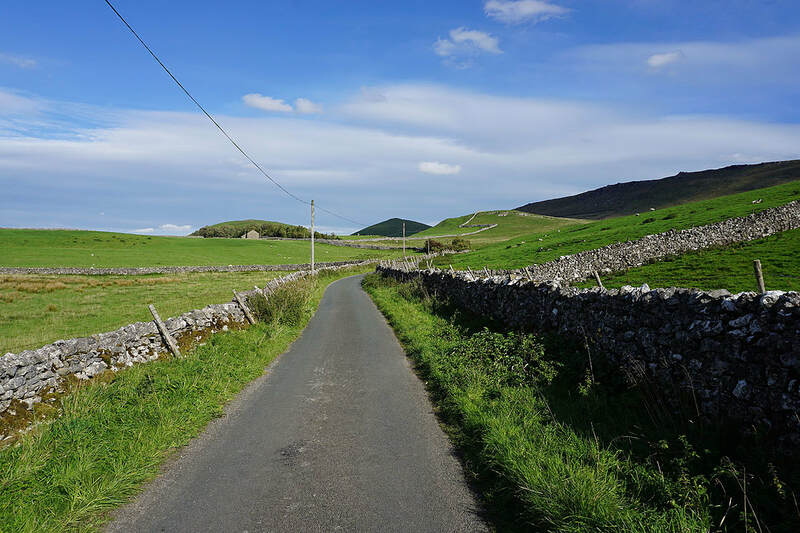 A walk west along the lane brought me to Cracoe and a stop for refreshments. 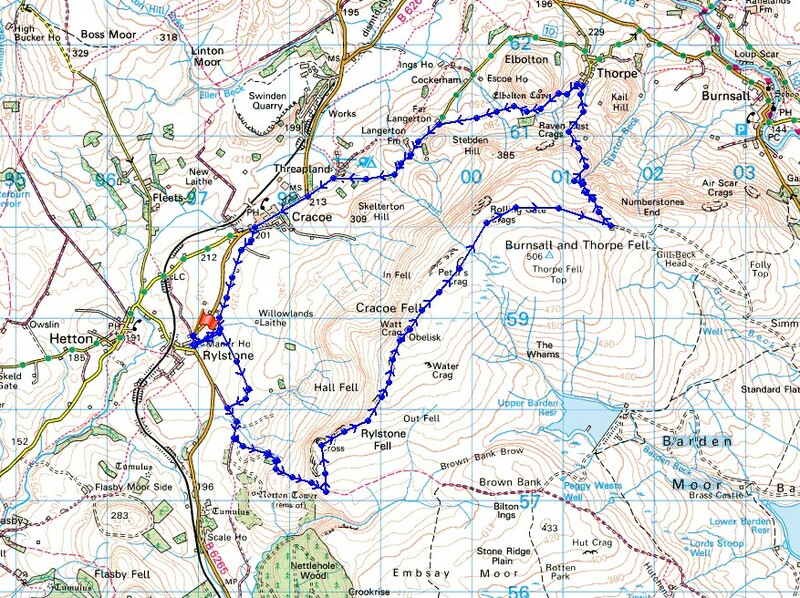 After walking through Cracoe I used the track of Chapel Lane to take me back to Rylstone and where I was parked. 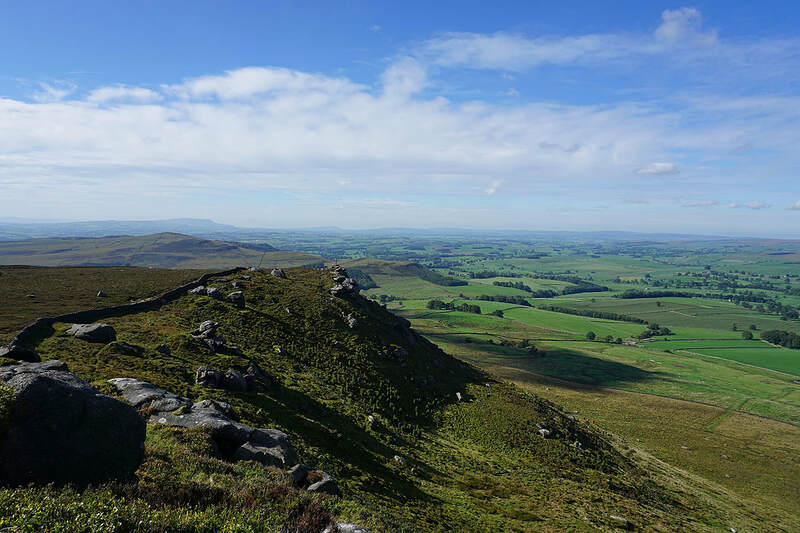 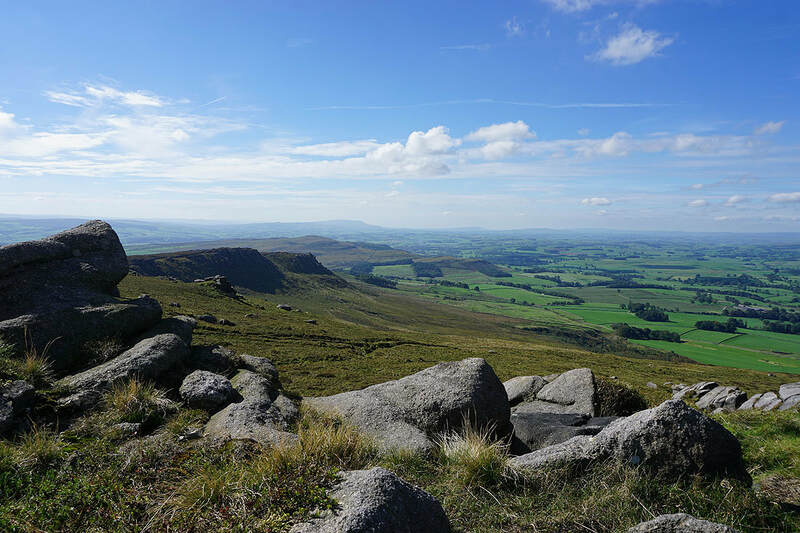 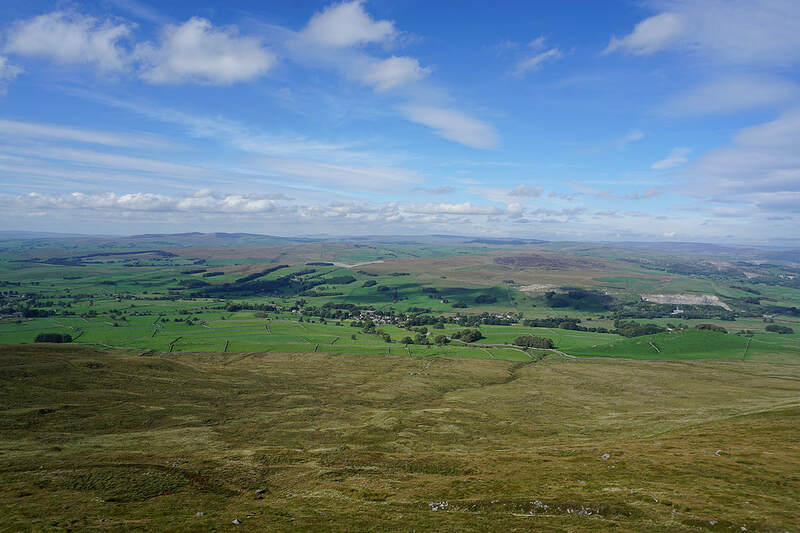 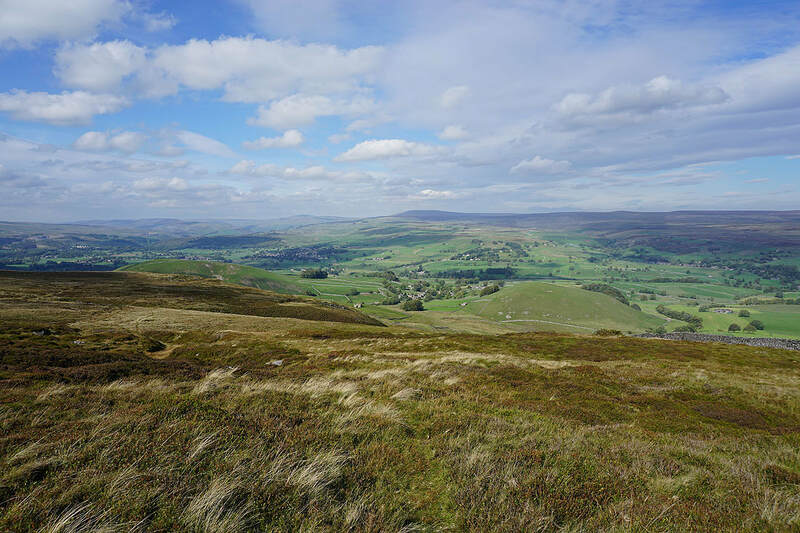 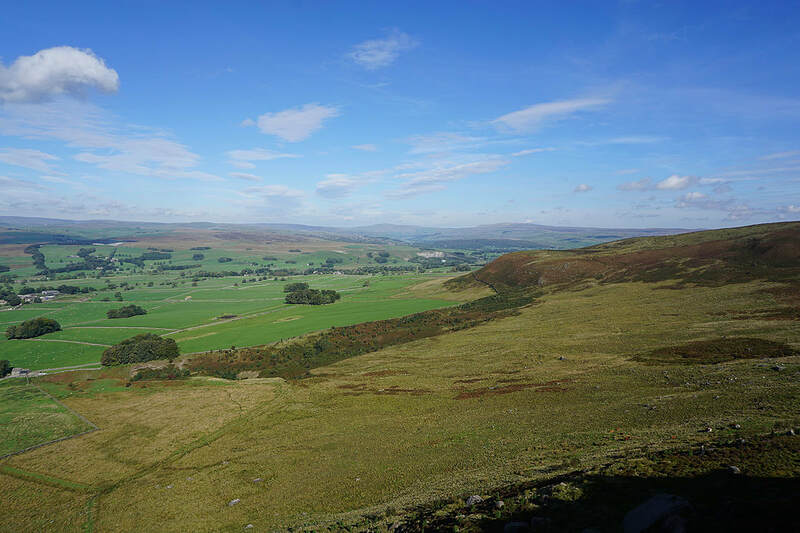 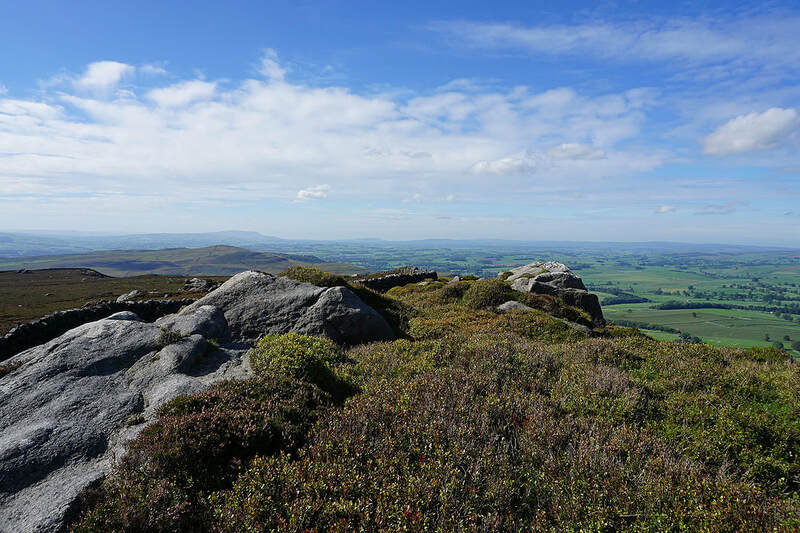 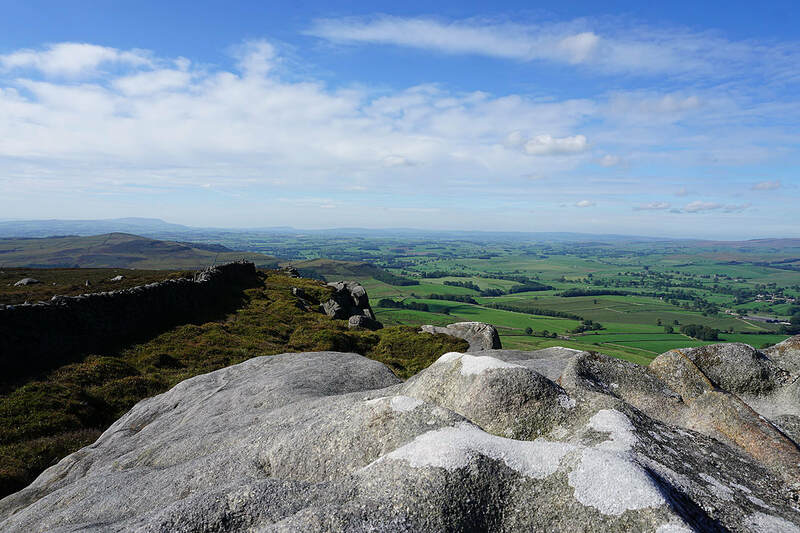 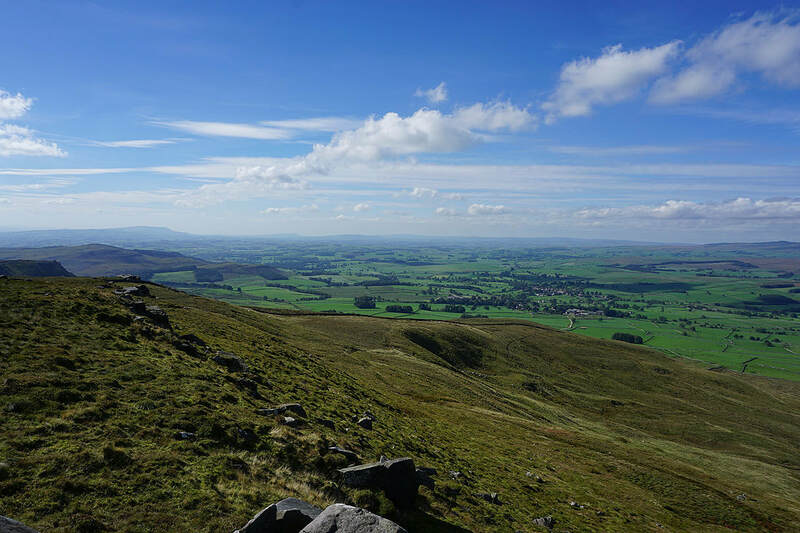 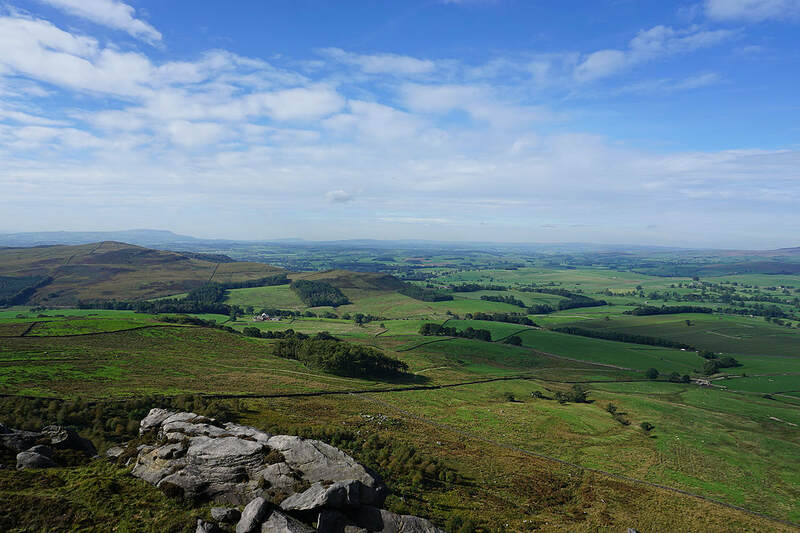 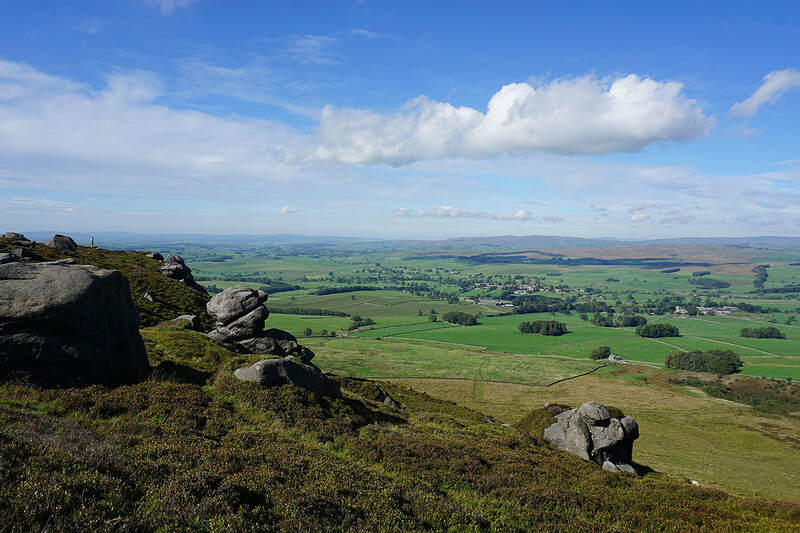 A couple of photos of the surrounding countryside from the bridleway up onto Rylstone Fell.. 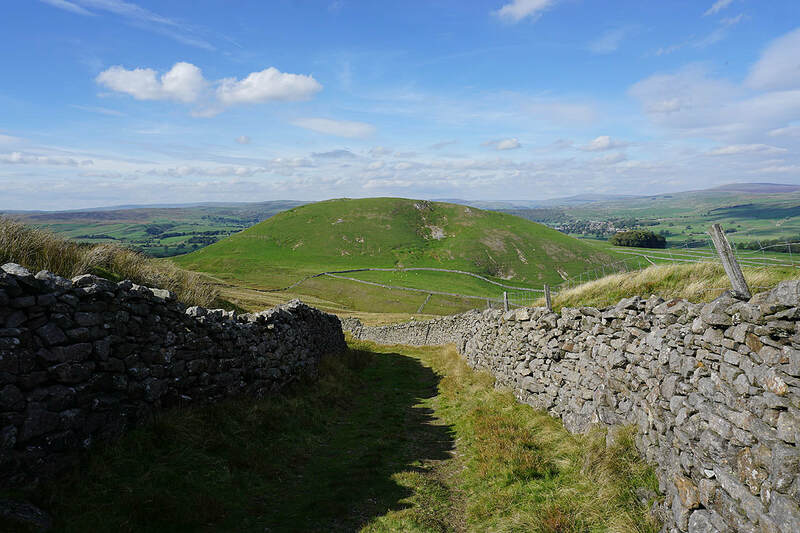 Approaching the war memorial on Watt Crag..
From the war memorial I follow the wall northeast across the fell.. 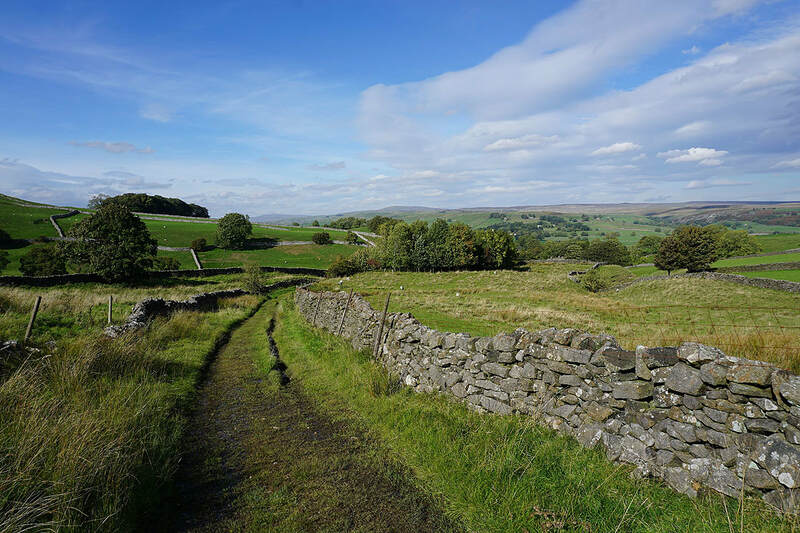 Looking back to the war memorial as I follow a track east across the moor.. 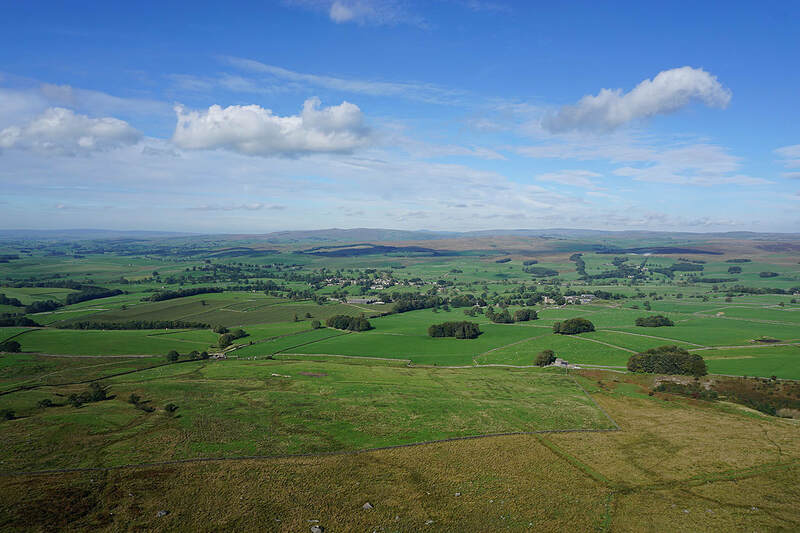 I have a fantastic view of Wharfedale as I start my descent. 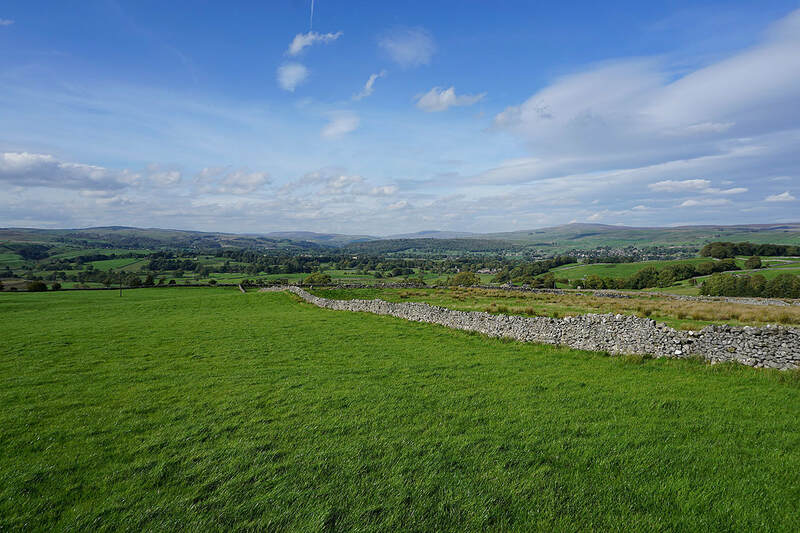 The big hills in the distance are Buckden Pike and Great Whernside with the village of Grassington on the left.. 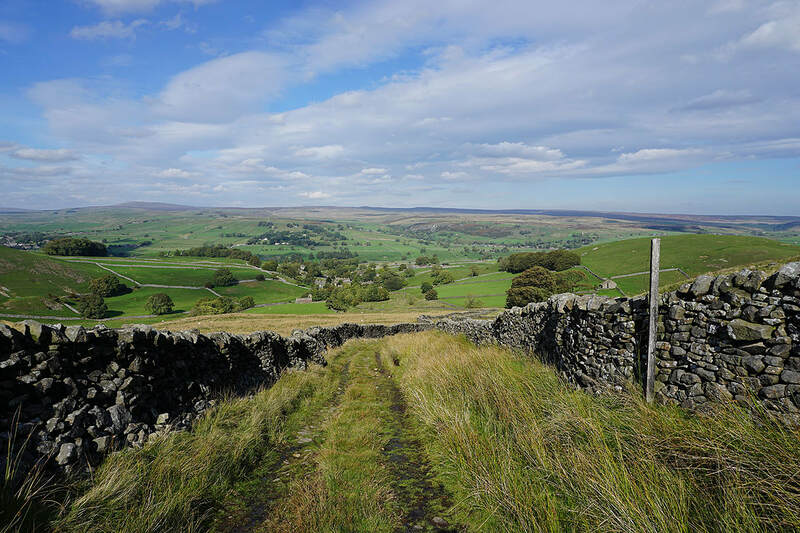 There's a great view of Wharfedale in front of me as I follow the track down to Thorpe..